Credit cards have become a common utility, we whip out those swanky looking cards for the bare minimum expenses. Sometimes you may carry out advance payments such as online shopping, when you get the item delivered at a later date. This creates the ground for some payments becoming redundant in certain situations, and you want to reverse the payment. Thankfully, there is a way to do that, it is called chargebacks on credit card. What is a Chargeback on Credit Card? Many of you might have faced it – fraudulent expenses that you never made, duplicate entries on your credit card bill, transactions that you never authorised and so on. In such scenarios, it is absolutely wrong that you are charged on your credit card, those charges must ideally be reversed. That is exactly what chargeback is – a customer disputing a transaction and demanding a refund on an invalid payment done earlier. There is a legal process involved to carry out a chargeback, starting with a chargeback fee on credit card chargebacks and a timeline (generally within 180 days). If a chargeback request is successful the credit card payment is reversed and funds allocated to your credit card account. 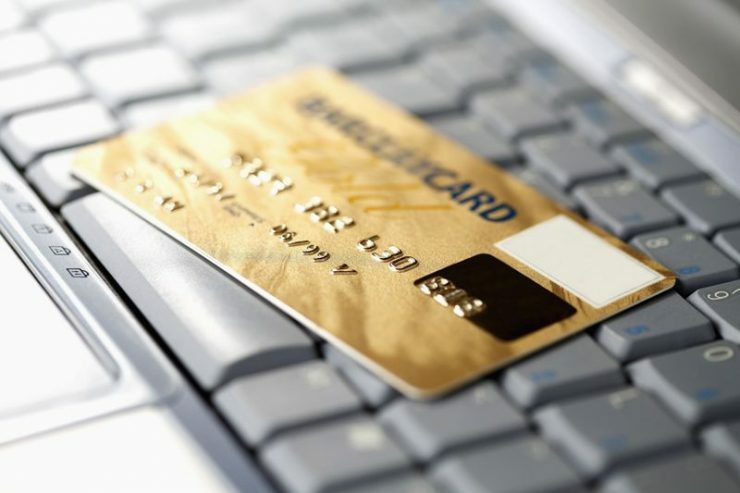 Chargeback is one of the ways of reversing a credit card transaction. This is different from cancellation, because it takes the form of a dispute. In cancellation, direct cancellation of the order and direct refund to your account takes place. This is not the case with chargebacks, which undergo a legal procedure. How do Chargebacks on Credit Cards Work? The bank which issued the credit card allows you to file a complaint and in response, places a hold on the funds in question. The bank then investigates the authenticity of the dispute. If the dispute is found to be legitimate, then the funds are credited to your account. If your dispute claims are found to be irrelevant or without merit, the funds in question are credited to the seller merchant. This process of filing a dispute and further consideration is called the chargeback. While some banks may require you to call their customer care number to raise the dispute, others may require you to fill a form and submit it in writing or online. Issues in Billing: Duplicate billing, incorrect billing amount, or a refund which was promised but never got processed. Quality of Product: Untimely delivery, product layout or quality not matching your expectations etc. Fraud: You claim that you never authorised the purchase. Fulfilment Lapse: You never received the purchased items. There is a legal procedure associated with chargebacks, at both the customer and merchant-end. The credit card chargeback time limit is 180 days i.e. you can raise a chargeback within 180 days from the date of transaction. The merchant must produce evidence (documentation) supporting their stance, within 2 to 8 days of the dispute being raised. You as the customer can challenge these claims. The case must be closed at both end within 180 days. If there is no conclusion within this stipulated timeline, the case is escalated to the Bank Card Associations for arbitration. Does Chargeback Affect Credit Card? The impact of chargeback requests depends in their outcome. If you file a chargeback and the bank discovers that it is a false claim or fraud at your end, the issuer can close down your card account. This is likely to negatively impact your credit score. If a merchant successfully disputes an illegitimate chargeback, you as a consumer might have to pay the accompanying chargeback fees. For example, PayPal charges a chargeback fees of $20 or Rs. 1,300 for any chargeback request. Clearly defining the returns, refund and cancellation policy on the website. Maintaining a clear record of every transaction, including proof of fulfilment. Streamlining refunds-logistics to ensure a smooth refunds process for customers. Communicating and engaging actively with consumers to act as the sole point of contact, assuring customers that their issues will be resolved. Look out for these measures at the seller’s end when making any credit card purchase. It can help prevent chargebacks in the first place, and save both you and your merchant a great deal of pain. MoneyTap is a 100% digital means of getting credit in times of emergencies. Infact, with its 4 mins approvals, it is must-have for everyone. Click below to experience its power. What is a Consumer Durable Loan? How Does it Differ From Credit Card? It is unfortunate to hear that your issue is not resolved even after a week. I will get my team on this right away. Apologize for the delay.